Camilla Hansson (25) was crowned Miss Universe Sweden 2014 at the conclusion of a pageant held in Stockholm last night. She stands 1.71m tall and will represent Sweden at this year's Miss Universe Pageant. Moa Sandberg (18) was named Miss International Sweden 2014. She will travel to Japan to represent Sweden at Miss International 2014 in November. 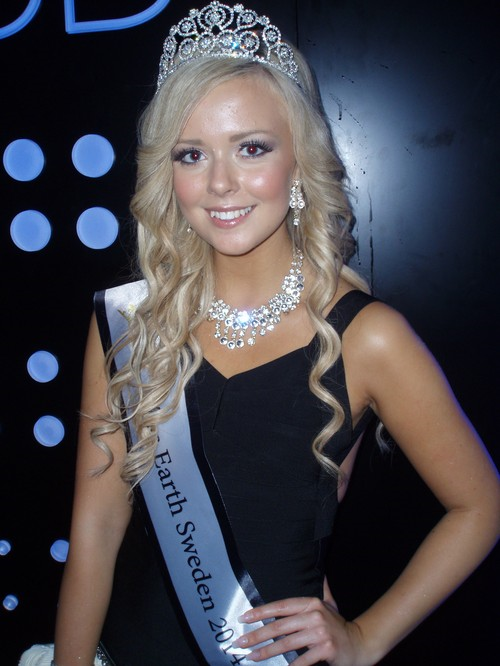 Frida Fornander was named Miss Earth Sweden 2014. She is 18 years old and will represent Sweden at Miss Earth 2014. Kristina Pekovic was named Miss Supranational Sweden and will represent her country at Miss Suprantional 2014. Eleonore Lilja, who represented Sweden at Miss International 2013, will represent Sweden at Miss Grand International 2014. Kelly Sucio was named Miss Bikini Sweden. Moa Oberg is the runner-up for Universe, International and Earth while Semina Obradovic is the runner-up for Supranational, Grand, and Bikini. None of them can be considered front-runners. Universe is the best of the group. Earth is cute. Grand is good too.